Bocconcino is a rather chic Italian restaurant in the heart of Mayfair. Located on Berkeley Street, in what looks like a small spot from the outside houses a large, spacious restaurant inside. 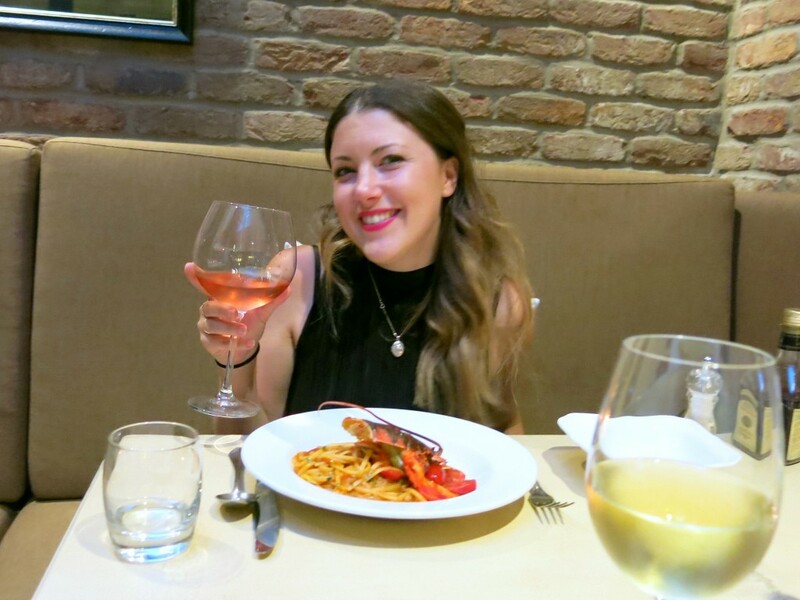 I have a real love for Italian food and I love this little corner of Mayfair so I was definitely looking forward to see what Bocconcino had to offer. Obviously I’d had a sneak peek at the menu before arriving and I was very happy to see so many fish options. Having just returned from Barcelona I was already missing all the fish! I invited D as my plus one for a little date night to hopefully help cure the post-holiday blues. Does anyone else get that!? On arrival we were led through the restaurant, deciding to dine in the room at the back where there are some cosy booths with skylights above. These are great seats to people watch from! Whilst we got comfy in our little booth and started to peruse the menu the sommelier arrived with two chilled glasses of Prosecco, the perfect Italian aperitif. We sipped on our bubbles trying to narrow down our choices for dinner. The menu at Bocconcino is rather vast and it all sounded delicious! The menu is split into Antipasti, Primi piatti, Pizza, Salads, Secondi dalla cusina, from the wood oven and desserts. Now we all know that I love pizza, but I felt this restaurant in Mayfair had more to offer. We decided to share our starters meaning we could try more, always the best plan! Having eaten some great tuna and octopus whilst in Barcelona we opted to try some other dishes. The scallops served with a cauliflower purée and bottarga was the perfect start to our meal. 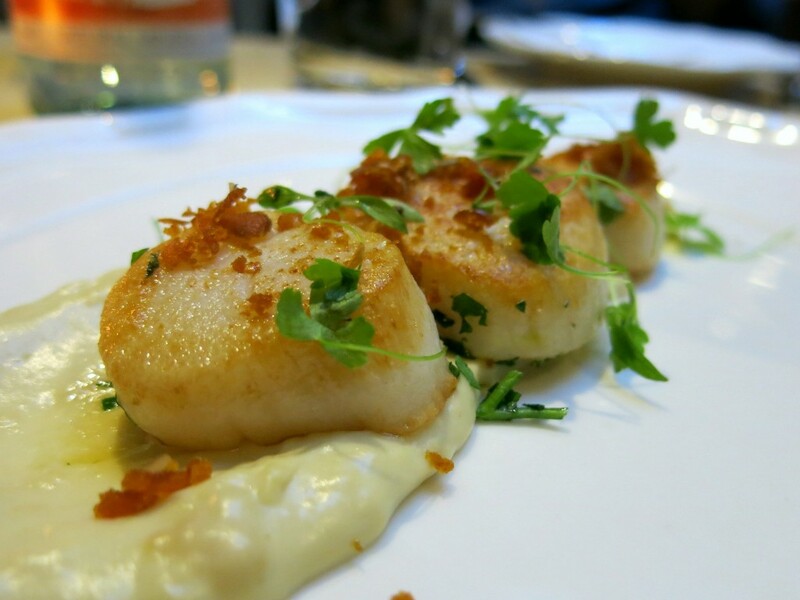 These delicate, juicy scallops tasted beautifully sweet against the earthy puree and salty bottarga (salted, cured fish roe, nope I didn’t know what it was either when I first saw it on the menu!). The other dish we ordered to start was a gamble and unfortunately it didn’t really pay off. 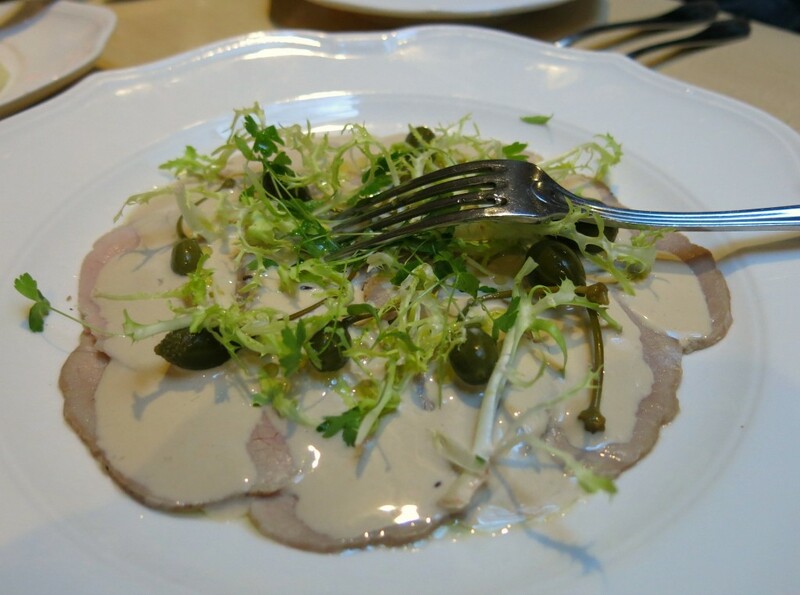 We ordered the thinly sliced veal with tuna sauce because we were intrigued… The veal had a lovely delicate flavour but the tuna sauce – which really did taste like liquidised tuna mayo – completely overpowered the veal. I didn’t dislike the dish, it just didn’t quite work in my opinion. But it was soon forgotten when our main courses arrived! 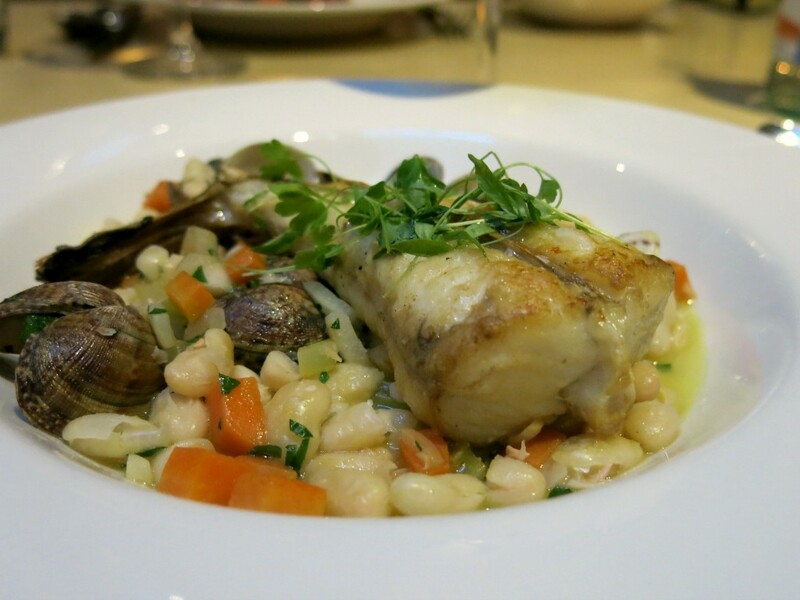 D ordered the monkfish with cannellini beans and clams, and although he thought it could have had more flavour I really liked this dish. There was almost a light broth the beans came in which was delicate in flavour and let the monkfish shine – it’s a meaty fish but the dish was kept fresh and light. However, I do think I ordered the absolute winner of the night. If you dine at Bocconcino and do not order the lobster linguine you are crazy! 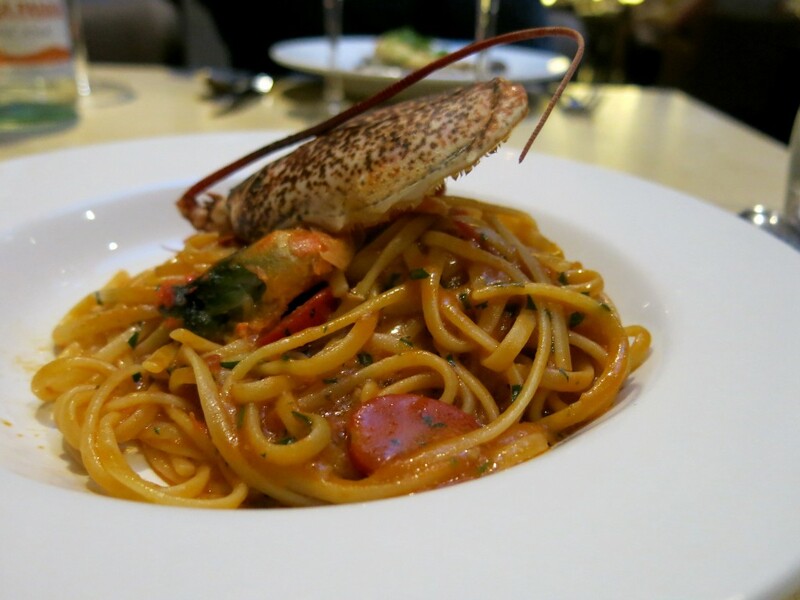 The wonderful al-dente linguine with large pieces of Scottish lobster and cherry tomato had such a deep, rich flavour. I could have licked the plate clean it was that good! The sommelier also paired the dish with a lovely rose wine (sadly I forgot to note down the name!). As you can see, I was one happy lady! 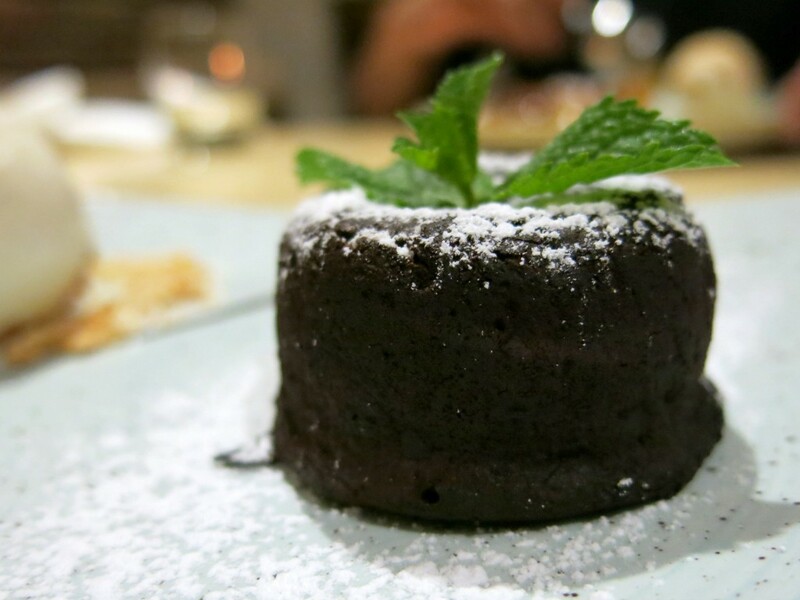 I kept it classic and ordered the chocolate fondant with vanilla ice cream. I find many restaurants now serve this rich, luxurious dessert in massive portions whereby at the end you almost feel sick. But at Bocconcino they keep it petite and perfectly formed. I didn’t get a photo of the oozy centre because I gobbled it up too fast so you’ll just have to believe me! D ordered another classic, the apple tart with vanilla ice cream. This was also a great choice. 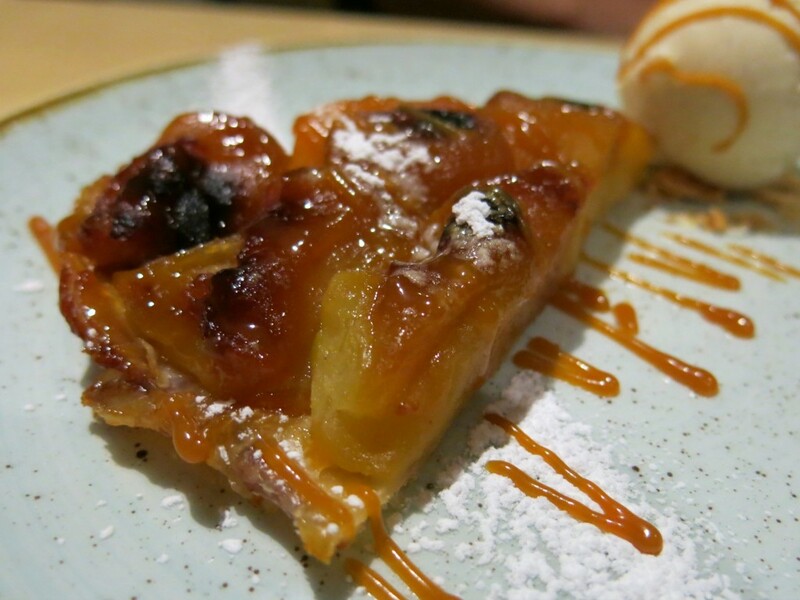 Who doesn’t love sweet, sticky apples and buttery pastry!? Bocconcino serves great Italian food; the menu is a mix of classic dishes and more modern flavours, which I love. It is definitely not cheap, but you are in Mayfair… The food though is fresh and delicious and they serve very generous portions too, which the husband loved. You can enjoy the buzzier dinning area just below street level or take a table in the more intimate dinning room towards the back. The staff are knowledgable and friendly too. Bocconcino is a great spot for dinner in Mayfair. This is luxury dining where the food, prices and location match. 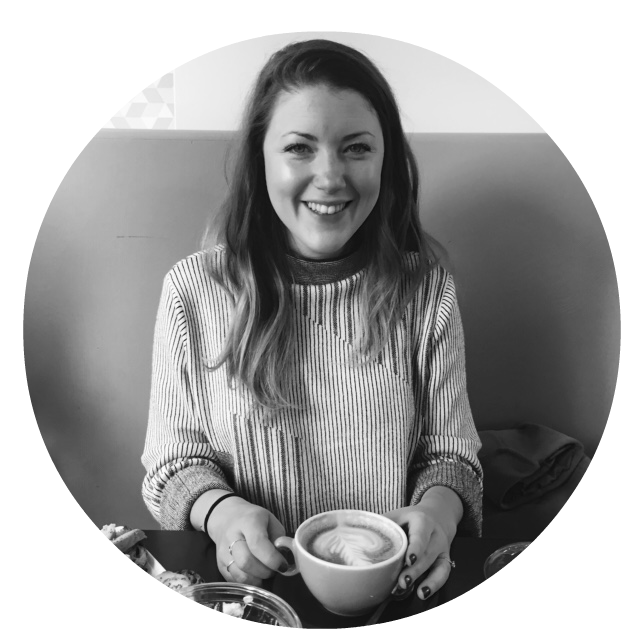 If you like Italian food take a look at some of my other favourite Italian restaurants in London: Theo’s, L’Anima Cafe and Mele e Pere. 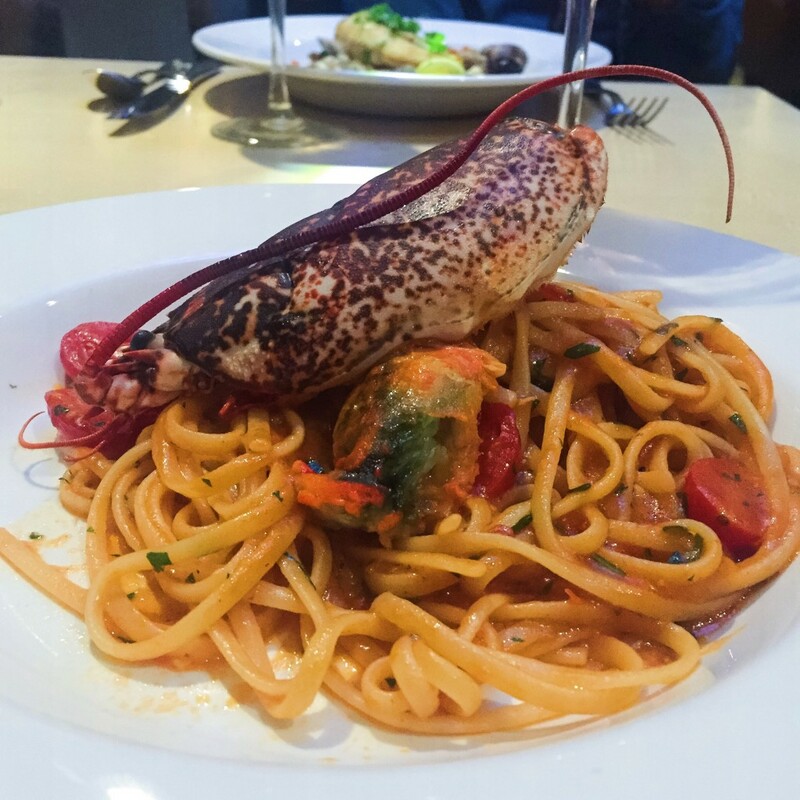 *I was a guest of Bocconcino, but as always views remain my own including my love for *that* lobster linguine! Ooooh lobster linguine looks amazing!! It really was so delicious!! Full of flavour.